Ashburn's Best NY Style Pizza! Welcome to Broadlands Brickoven Pizzeria in Ashburn, Virginia! Enjoy authentic, home-style Italian food at great prices. We have more than 20 years of experience in the Italian food industry and we take great pride in our food and service. Our restaurant specializes in New York Style pizzas, pastas, subs, salads and much more! 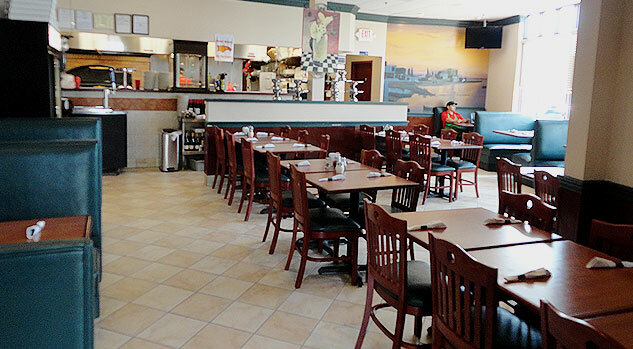 We have a casual, family-friendly dining room to make you feel at home while you enjoy our authentic Italian food. Please stop in to try out some of our great daily lunch specials and check out our catering menu for your upcoming family or business event. © 2017 Broadlands Brickoven Pizzeria. All rights reserved. Website design by DeCarlo Studios.